A fundamental goal of biological research on ontogeny is to discover when and how developmental changes can be induced as well as the consequences, limits, and mechanisms underlying such changes. With their commitment to defining and understanding environmental influences on behavior, developmental psychology and psychobiology both share these goals. The present Monograph, which is concerned with how human mothers influence their infants through nursing, grows out of this research tradition. Introduction: Behavioral and Biological Consequences of Suckling in Rats and Humans. Methods of the Current Studies. The Behavior of Normal Newborns. 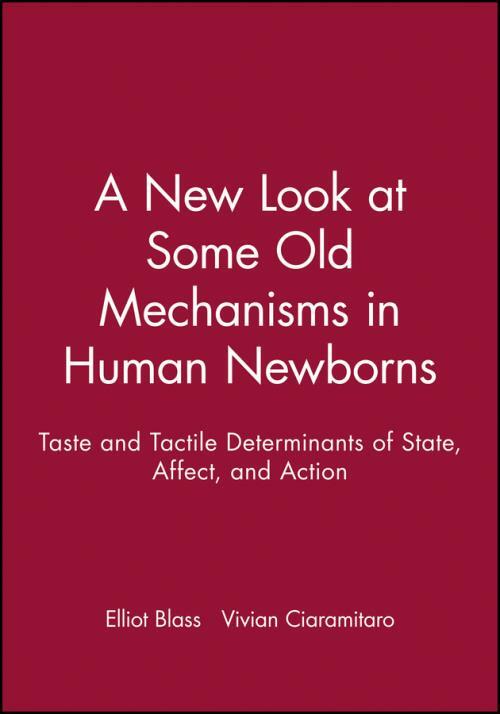 The Behavior of Infants Born to Methadone–Maintained Women. Discussion: The Psychobiology of Early Mother–Infant Interactions. Bridging Species: A New Look and New Questions (Ronald G. Barr). Tones and States (Elliott M. Blass and Vivian Ciaramitaro).